The rubber roof membrane is sold by the running metre cut from large sheets measuring: 0.5m, 1m, 1.5m, 2m, 2.5m, 3.0m etc right up to 15.25m in width by 30.5 metres in length. So therefore they’s no joins which means They’s no way of any leaks. 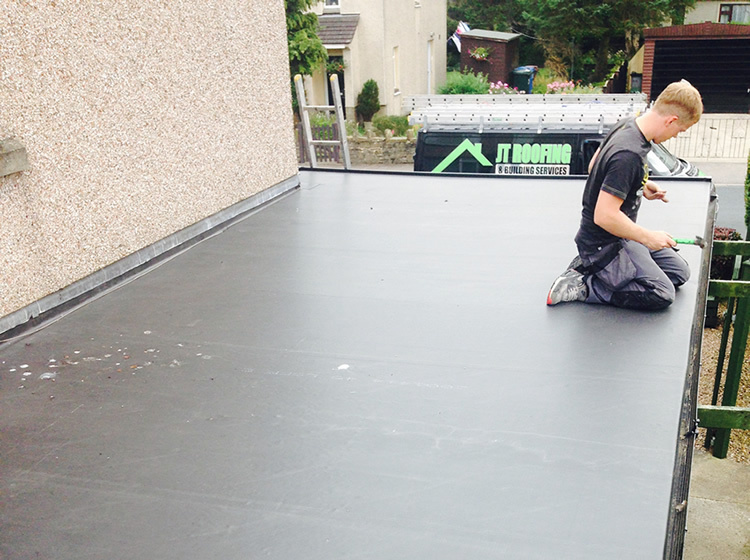 If you need Roofers Clitheroe, get in touch today.